Whether you have a traditional mag-stripe lock, a combo-lock working with both mag-stripe and smart cards, or the latest contactless RFID locks that are operated with RFID keycards and carriers, ASSA ABLOY Global Solutions offers you the most suitable combination, allowing you to offer the right security level and maximize the benefits and functionality of your electronic locking system. We offer a variety of RFID carriers that are specially designed for different applications. With our custom keycard program, VingCard keycards can open doors to more than just your locks. They can open the door to new business opportunities and allow you to increase your profits. 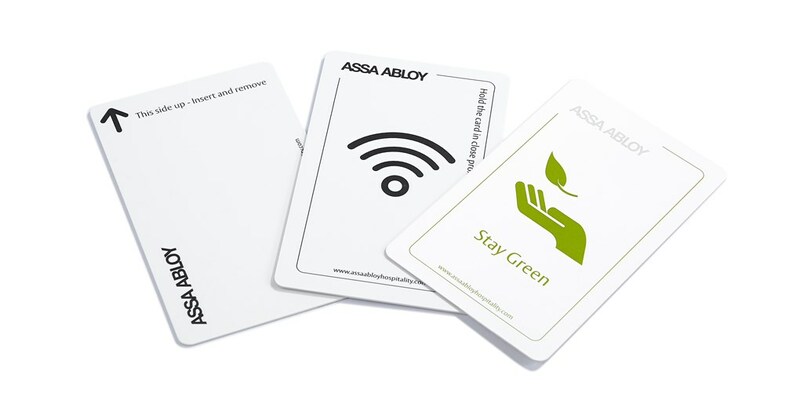 With a customized impression, your keycards can be a useful tool to promote your property or property facilities.